If you are looking for information on the The Exchange franchise business opportunity, The Exchange franchises or The Exchange franchising , then you have come to the right place. One of the most notable operational distinction resides in Exchangeware™, our proprietary and comprehensive POS system that optimizes the Buy-Sell-Trade transaction. 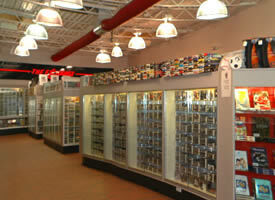 Exchangeware allows store personnel to provide optimum market-value to both traders and purchasers. Our comprehensive franchise training package begins with an intensive training seminar in one of The Exchange affiliate stores in Cleveland, Ohio, home of The Rock and Roll Hall of Fame. 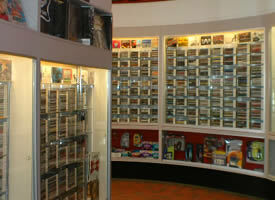 In fact, during your visit, you will have the opportunity to spend a day at the Rock Hall! During your training you will learn the knowledge and skills required to run your franchise location. You will work within the store to learn all of the employee responsibilities, as well as suggested hiring practices for staffing your store. In the 30+ year history of The Exchange, we've come to know our customers. In planning the location of your franchise, we have developed a franchise site selection process. This process assists you in opening your doors in a location that will generate traffic to your store. The Exchange franchise site selection process assists you in determining the best location for your retail store.